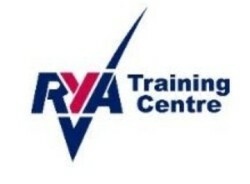 Further to the Club successfully nominating William Carruthers for an RYA Community Award (Lifetime Commitment) he has just been to the award ceremony in London which recognised the efforts of 48 people from around the country for their efforts in connection with our sport. 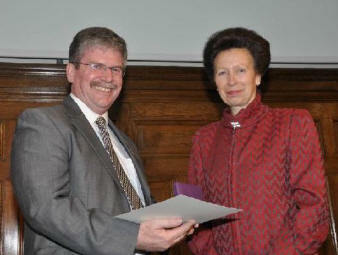 President of the RYA, HRH The Princess Royal met and chatted with all concerned before a celebratory lunch, and then presented certificates and commemorative medallions. One of our longest standing members, William joined the club with his parents in 1963. By 1968 he was regularly helping official starter Albert Bates, driving ‘Dorothy’ (the first committee boat), firing the starting cannons, and being flag man during Bass Week. This continued until he got his first GP in 1974. In 1981 he joined the club’s Council, taking on a role of assistant treasurer, and then became treasurer a couple of years later, a role which he continued with to 1989 when he moved to Wales. Moving back to Cumbria a couple of years later, he again took on the treasurer role until becoming vice commodore in 1995, and commodore in 1997. A notable point as commodore, apart from not having a vice commodore for 18 months(! ), was negotiating with the National Park who challenged the validity of our long standing lease for the club. The outcome was a 25 year licence from 2000. Having spent many years resisting major expenditure, he successfully arranged for the replacement kitchen in stainless steel – still looking as sturdy as the day it was installed in 1998! After completing three years as rear commodore, he again took on the role of treasurer until 2008, not that his involvement stopped there. Having set up the club’s website in 1998, he has continued to develop it including the addition of webcams, Dutyman, weather forecasts, and more recently Twitter feed. His regular updates ensure people keep coming back to visit the site, especially during Bass Week and during open meetings, and this is shown by the total number of hits exceeding 200,000. As if this wasn’t enough, he wrote and developed a results program that has been used for about 25 years, and so has often been found helping with the results. He has been a regular OD, helped out on the bar, and at social events on numerous occasions. Oh and he sails too!